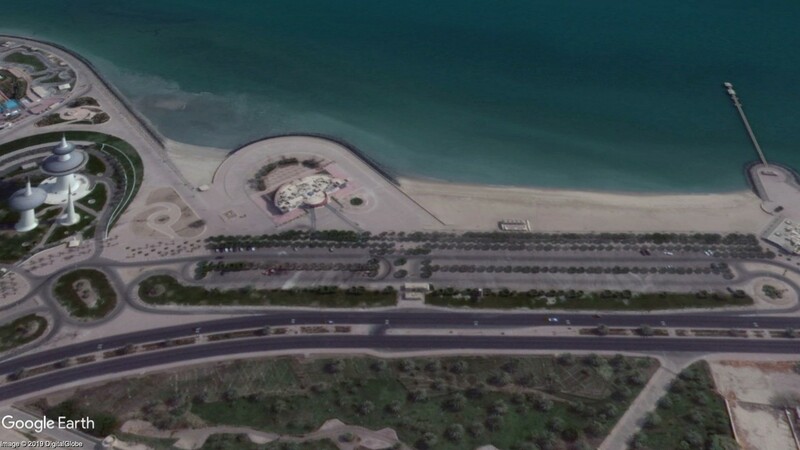 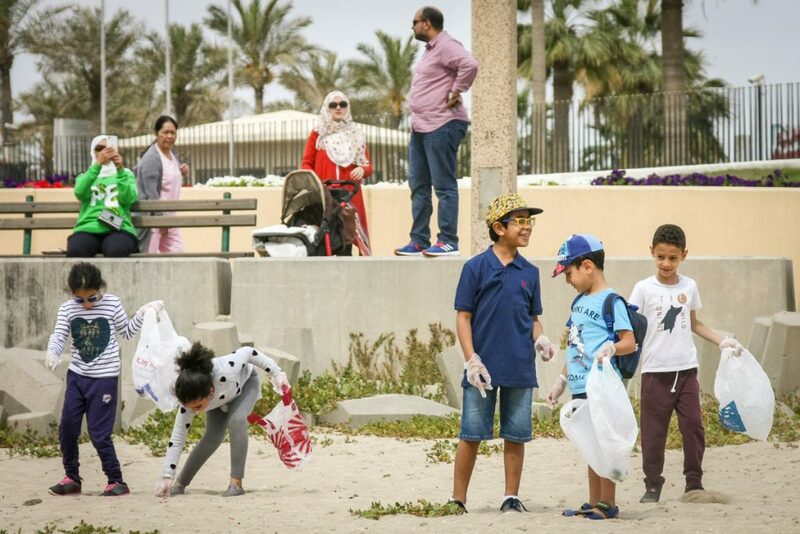 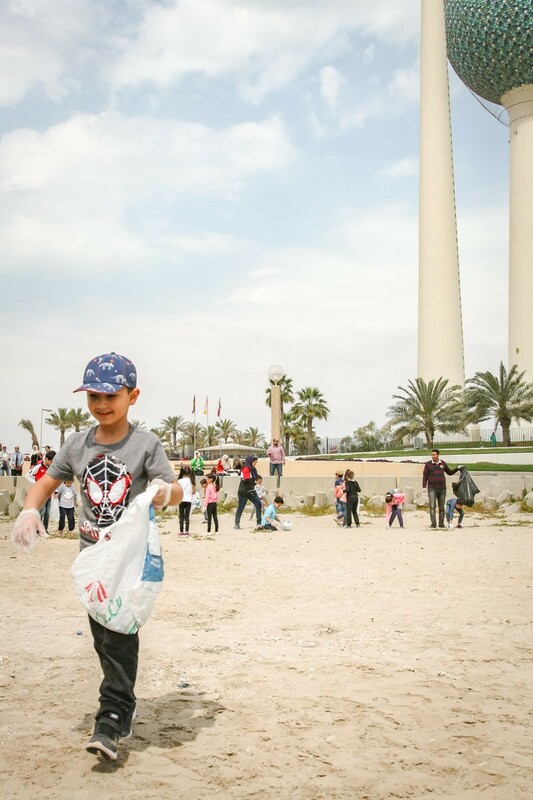 Yesterday, Gulf British Academy held its first ever beach clean-up challenge! 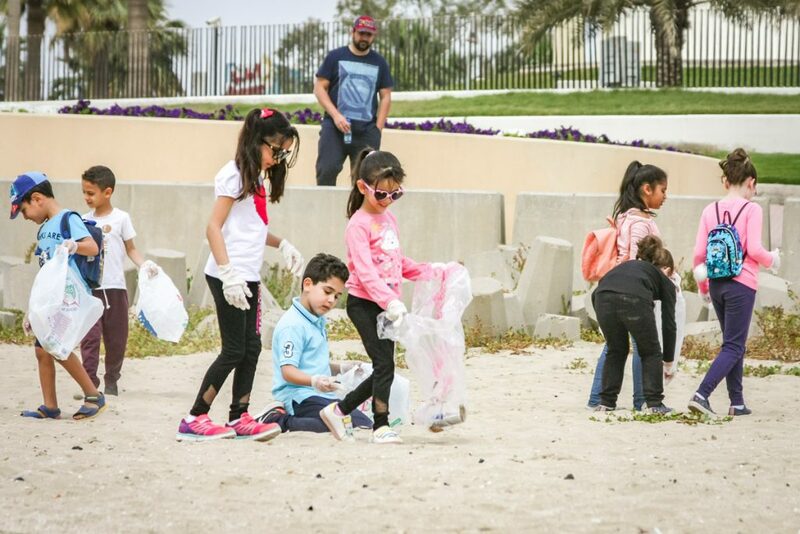 This initiative was driven by Key Stage 1 who have been learning about the environment as part of their topic curriculum this term. 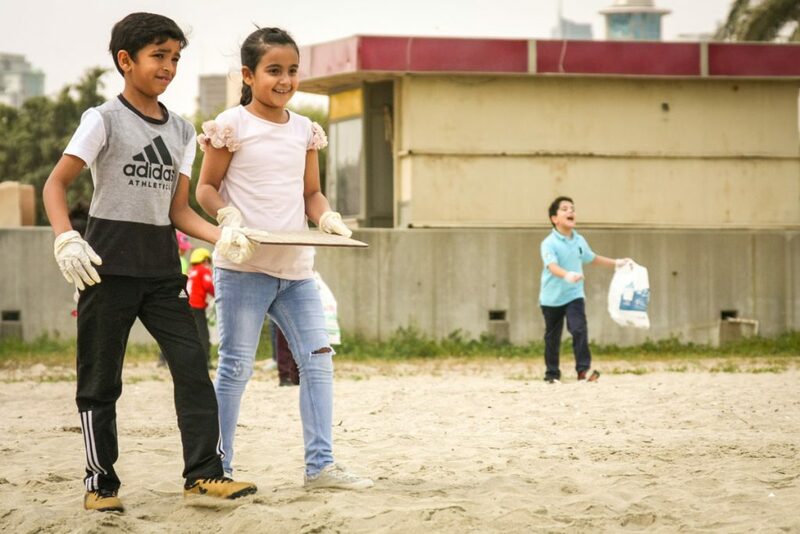 We have discussed different types of environments, recycling, plastic waste and how to help and protect our environment. 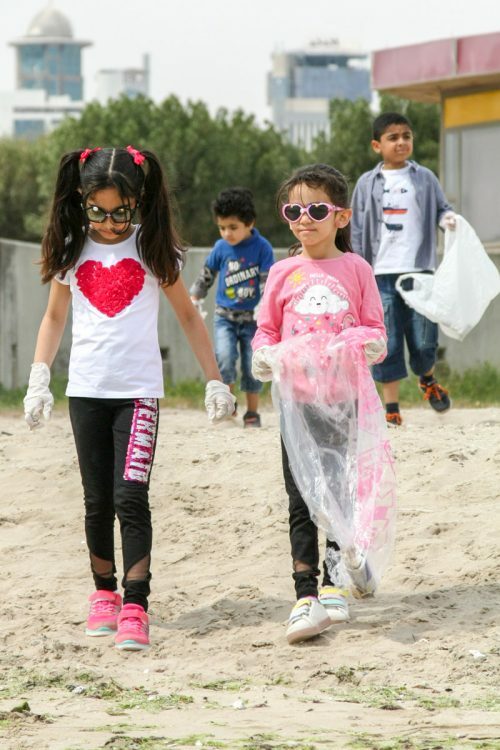 So as part of our curriculum enrichment programme, we decided to take action and clean-up a local beach. 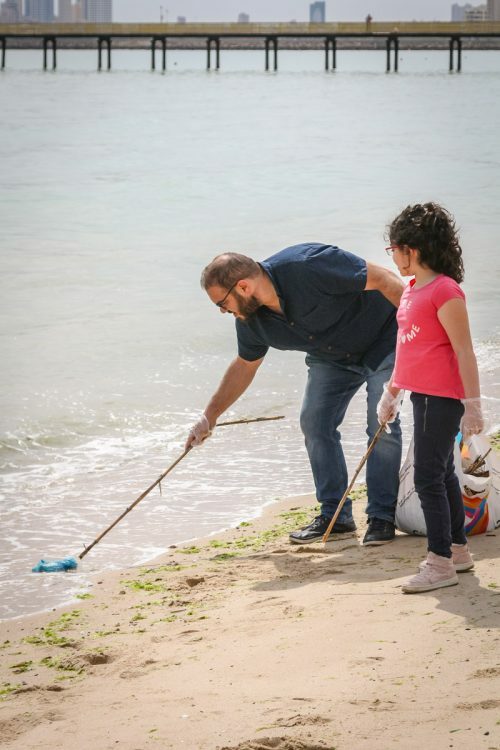 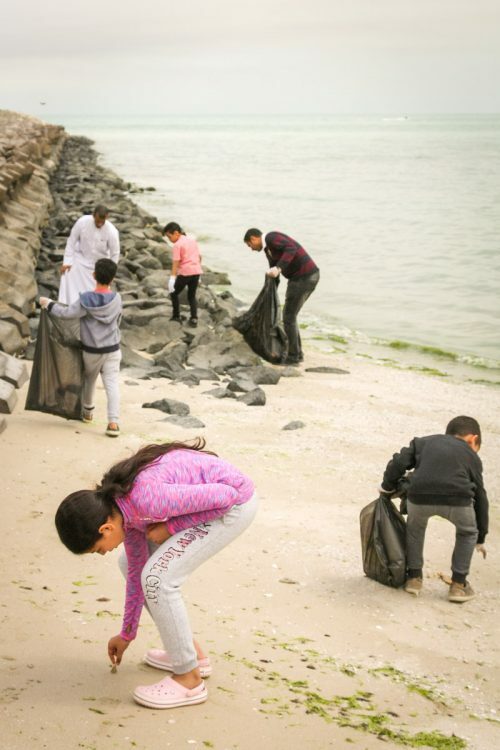 We invited pupils, their parents and their teachers to focus on clearing non-biodegradable litter washed up from the Arabian Gulf/Sea, Indian Ocean and further afield. 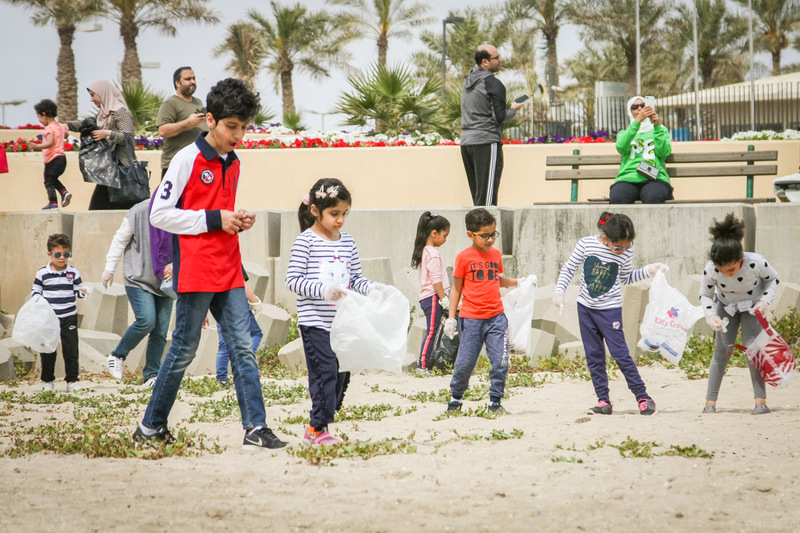 Following a quick health and safety brief by Key Stage 1 leader Mr Kane — to ensure gloves were worn at all times and children were observed closely by their parents — our clean-up drive kicked-off at 10:00am. We continued throughout the morning and our initial 30-minute schedule quickly grew to 1-hour as we all got stuck in. 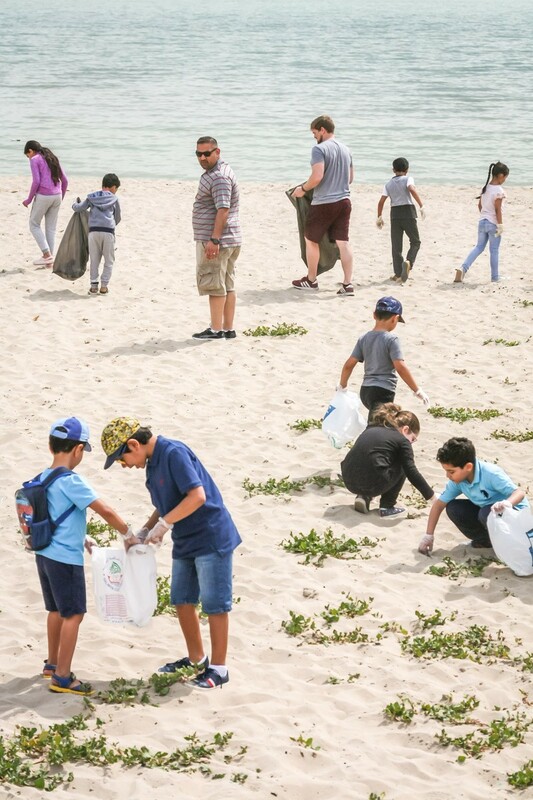 This was great to see and fulfilled our two main goals: to pick up every item of litter we could find, especially plastic, and to educate and instil in our pupils the responsibility of looking after the environment. 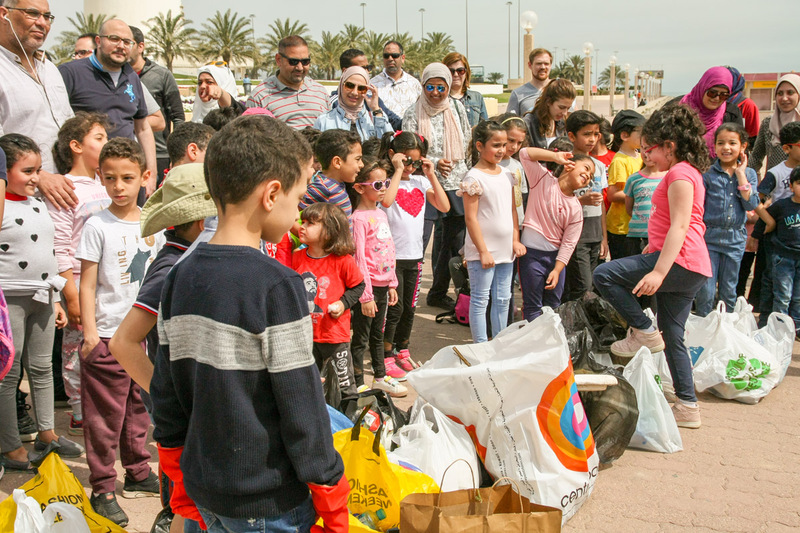 We found all sorts, from old plastic toys to nappies (eww!). 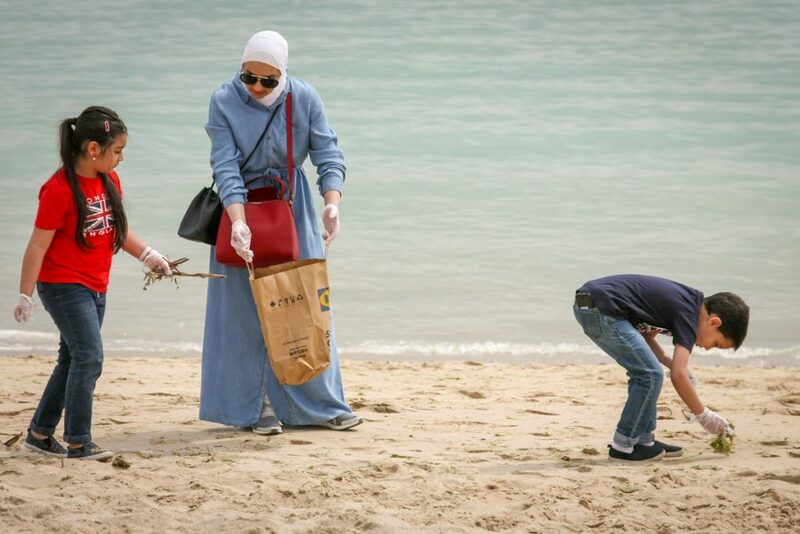 There were also plastic bags, forks, spoons and straws, as well as old fishing nets and bottles/bottle-tops. 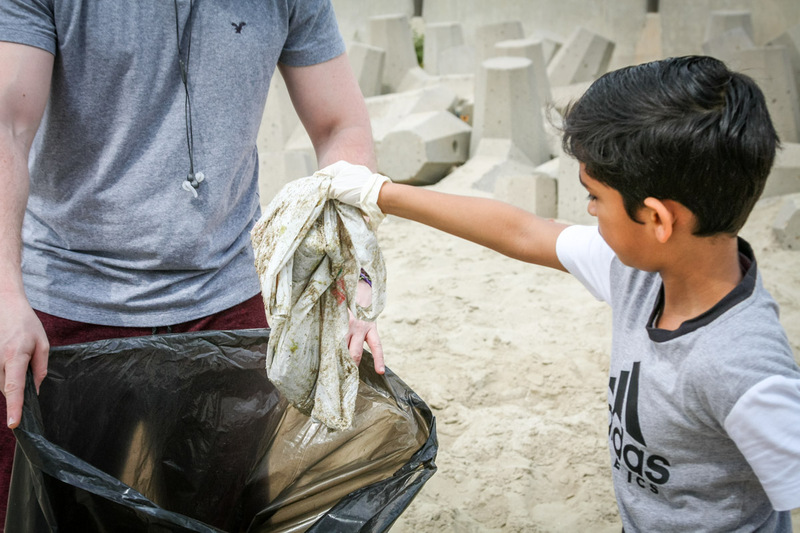 To promote the awareness of environmental issues such as plastic pollution, selected pupils will present an assembly to the whole school discussing what they did and why it was important. 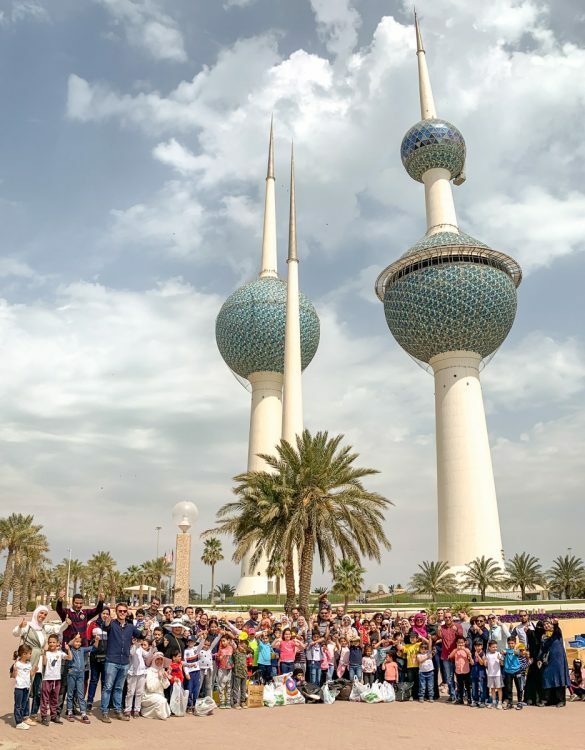 …to all our parents and their children who joined us on Saturday. 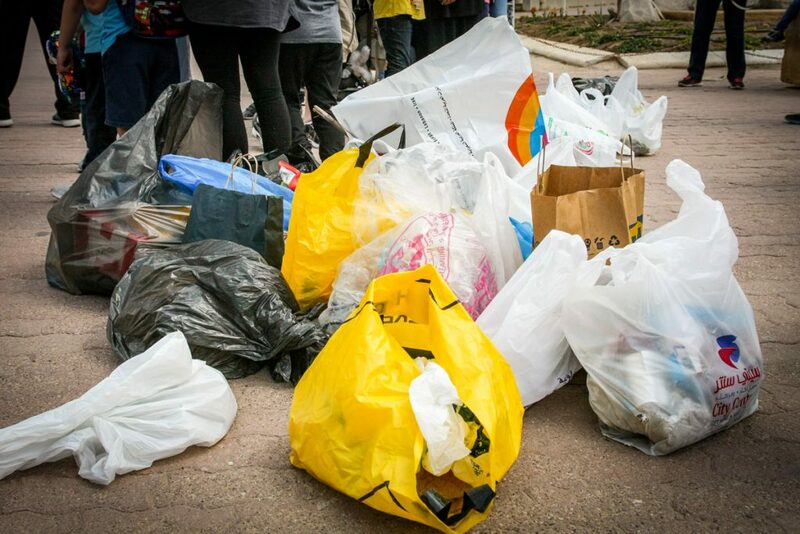 Well over 20 bags of rubbish were cleared!